Doctors are especially skilled at a few things. Prescribing medications? Absolutely. Performing surgery? For sure. Nutrition and weight loss? No, definitely not. You might be a little stunned to hear that admission coming from a trained medical specialist like myself. But whether a physician has expertise regarding diet often comes down to their training and what they view as their circle of competence. Generally speaking, during the four years of medical school, the total amount of time spent on nutrition is about 10 to 20 hours. Medical training extends more than a decade, and yet there is barely any attention paid to nutrition or the equally thorny question of how a person should approach weight loss. In medical school, a standard curricula may include a mandated number of hours for nutrition, which can vary greatly depending on where a physician is trained. Generally speaking, during the four years of medical school, the total amount of time spent on nutrition is about 10 to 20 hours. I did my medical training at the University of Toronto and the University of California, Los Angeles, and my experience was not unlike most other schools in North America. Medical school consisted of nutrition lectures where we discussed things like the biochemical pathways of vitamin K metabolism or how vitamin D is activated in the kidney and skin. Yes, perhaps you might consider these subjects nutrition, but they are really much closer to biochemistry. I learned vitamin D becomes 25-OH vitamin D in the kidneys and then becomes activated in the skin during sun exposure to the active 1,25-OH vitamin D. So, not very useful knowledge when you’re trying to understand how to help people lose weight. We also learned about fairly uncommon diseases like scurvy (vitamin C deficiency) and pellagra. Gums bleeding and hair follicles that are corkscrewed? Avast, ye mateys. Knowledge of these ailments certainly came in handy during exams—and also for the last patient I diagnosed with them, which was, uh, never. While scurvy is certainly important to identify and treat, it’s substantially more likely that doctors like me will encounter someone with a disease like obesity or diabetes. It’s also likely that doctors are not completely equipped to treat those diseases. I graduated medical school with essentially zero knowledge of nutrition as most people know it. What people really want to know are things like, should I eat more carbs? Less carbs? More fat? Less fat? Is sugar bad? How do I lose weight? Those important health questions are apparently not considered the purview of many medical school teachings. I’ve found that medical school provided less training in real-life nutritional questions than most health clubs or gyms. As a result, doctors can be trained to believe that nutrition and weight loss are simply not part of the problems they deal with or should care about. Medical students model their own self-image as a doctor on the mentors they meet in medical school. And those doctors and researchers often don’t prioritize nutrition or weight loss. This contrasts starkly with the medical knowledge doctors do learn about. Everybody, and certainly every medical student, knows that obesity plays a dominant role in metabolic diseases like type 2 diabetes and metabolic syndrome. In turn, these metabolic diseases raise the risk of heart disease, stroke, cancer, kidney disease, blindness, amputations, and much more. Doctors understand the importance of weight gain in relation to disease, but not necessarily enough to educate themselves on how to lose weight or what people should or should not eat. Given the knowledge that weight gain can lead to metabolic disease and other conditions like heart disease or diabetes, you’d assume a natural question from the medical community would be: What can I do to prevent or reverse weight gain (i.e., what’s the root cause)? Doctors often tell patients to lose weight. What they don’t often tell patients, however, is how to lose weight. Instead, a doctor can be trained to think: weight gain can lead to metabolic disease and other problems like heart attacks. What drugs or surgery should I give to patients after they have their heart attack? Obesity and metabolic disease are destroying our nation’s health, yet medical schools still do not adequately teach medical students or residents how to actually treat these problems. Doctors often tell patients to lose weight. What they don’t often tell patients, however, is how to lose weight. The entire medical school curriculum about weight loss largely comes down to the old advice: Eat less. Move more. Cut about 500 calories per day, and you will lose about a pound of fat per week. If there’s a new drug for, say, lung cancer, doctors immediately want to know: Does it work? For weight loss, we learn about this calorie-cutting method, but nobody seems to ask: Does it work? We already know it doesn’t. People have tried this weight loss method for the last 50 years, and more often than not, it’s not effective over the long term. 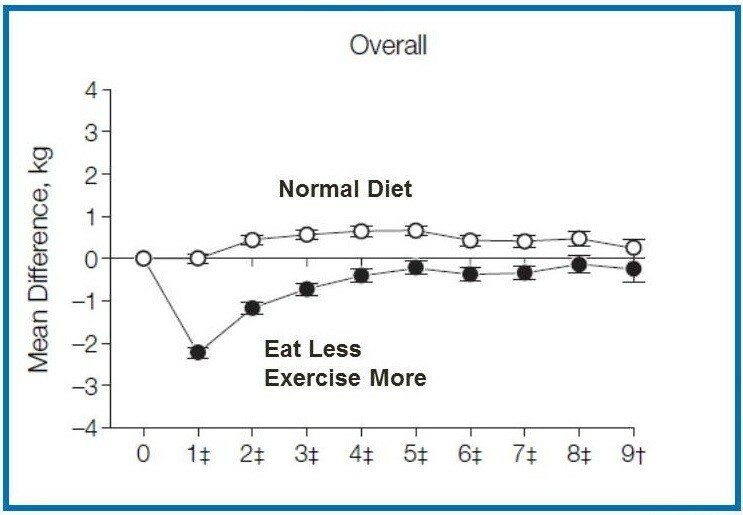 Most studies on calorie restriction for weight loss fail in one way or another. The success rate is about 1 percent. Doctors were trained to give weight loss advice that had an expected failure rate of 99 percent. What boggles the mind is why doctors don’t stop and think about why they’re giving advice that is expected to fail 99 percent of the time. The most unfair part is that when patients return, unable to lose weight, they’re often blamed for their failure. It’s so much easier to blame the patient than to find fault in the standard medical advice of cutting calories. The problem is medical students are subjected to enormous unconscious bias. Many doctors they know and learn from are not making nutrition a primary part of their practice. The understanding that nutrition is not something doctors do permeates. We prescribe medications. We perform surgery. But we don’t help with weight loss, even if it is the root cause of many of the diseases we see today. Thankfully there are other professionals who study nutrition, like registered dietitians, but it makes no sense that doctors do as little as possible to address this blatant underlying health problem. Does this change after medical school? Yes, I argue it gets worse. Speciality training, internship, residency, and fellowship are another five years of training after medical school where there is typically no formal curriculum around nutrition. That’s another five years where doctors learn that weight loss has nothing to do with them. Leave it up to Weight Watchers, Jenny Craig, and magazines. But not medicine. Should you talk to your doctor about weight loss? Would you ask your plumber to remove your wisdom teeth? Would you ask your barista to check your vision? It doesn’t have to be this way, of course. The obvious solution is to include more nutrition in the curriculum of medical schools or residency training. 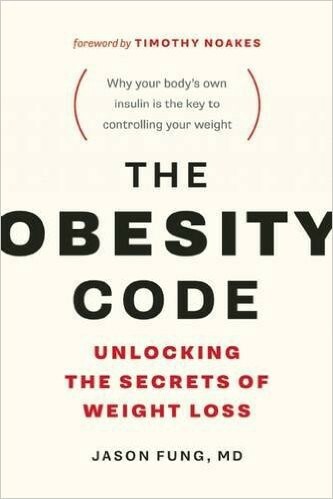 It would also help if doctors learn a bit more of the physiology behind weight loss and weight gain, more about the hormonal regulators of weight and how to influence them using diet. If doctors truly want people to be well, they must start caring about nutrition and guiding people through weight loss. There’s no longer any excuse not to.